A fantastic book I read last year - Shock Value, which is reviewed here, to be exact - certainly gave me new light on just what it is about Rosemary's Baby that is so impressive. I've always found it to be one of the most engrossing paranoia horror films out there (Let's not kid ourselves - despite the ending and its implications, the horror of this movie comes from Mia Farrow's struggles to deal with her unusual pregnancy), but when I was given more information about the film's path to the screen it seemed to take on more significance. The culture of horror changed - if not forever, at least for the next decade - when Paramount Pictures was bold enough to let a young hotshot auteur turn a William Castle production into something that shook the mold of the horror film completely. 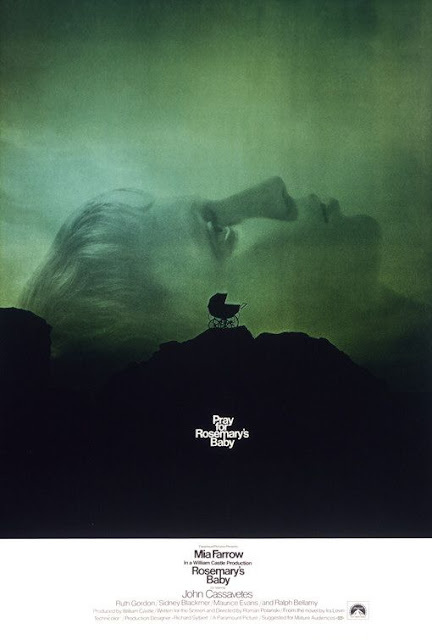 From its opening, Rosemary's Baby is a different kind of horror film than we'd ever seen before. Even today, almost 45 years later, there aren't many films like it out there. But the final minutes change the movie again, and the restraint shown by Polanski during the finale is perhaps the most masterful touch of the entire film. At this point in this list, I'm really digging for double feature picks. After all, most of the best horror films are the best horror films because they stand above everything else out there. So I'm going with the easy one here, and suggesting fans of Rosemary's Baby might want to pair it up with Polanski's other psychothriller about a blonde in peril, Repulsion. It's a more surreal ride than Rosemary's - which seems like a tall task, but it is - and it's got some visuals that will drop jaws. I kind of feel like 19 is too low for Rosemary's Baby - especially since the next few spots contain a lot of slighter but more personal favorites. It's a truly important piece of cinema that has to be one of the 10 most groundbreaking horror films out there. This film really did help to change the perception of horror when it was released (if only for a time), and it still packs a punch on repeat viewings. Rosemary's Baby belongs among the best horror has to offer, and it seems to get better every time I see it. Okay, I need to watch this again. 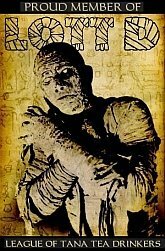 The only time I saw it was before I gained an appreciation for the historical aspect of horror. I felt like it was ruined for me, because I pretty much knew the ending in advance. But then, on first viewing, I hated Texas Chainsaw Massacre too. I've been thinking of writing a column on horror elements in non-horror films, and Polanski's Macbeth is near the top of my list. Have you seen that one?